We are a powerhouse CPA firm that cultivates enthusiastic team members and provides a positive workplace that inspires employees to be their best while serving our community and clients. No waiting, no limitations, and no making-up time. Freedom to use your time to match your personal lifestyle. Be yourself, and be comfortable at work. Show off your skills and your style. Wellness made easy. Office sports teams, and credits toward the gym will up your game and keep you motivated. From interns to partners, we value every dedicated employee and encourage them to take advantage of our resources to propel them to their next career level. In 2019 the Bonadio Group was named a Top Workplace for the fifth time by the Albany Times Union. 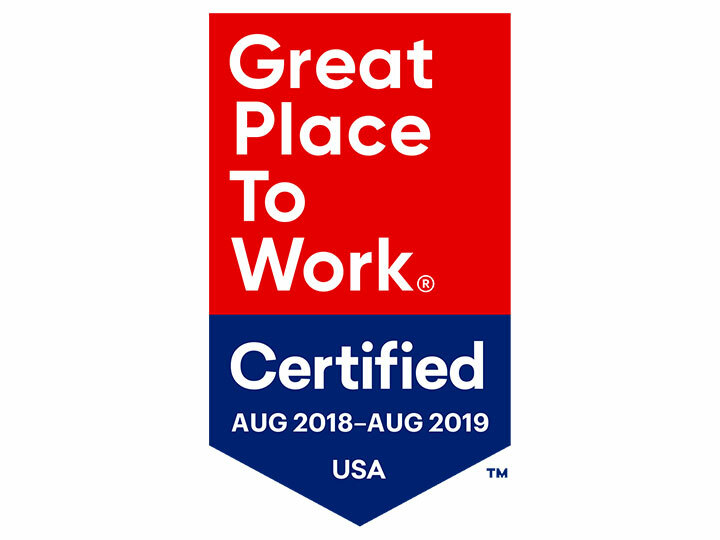 We were ranked 20th as a best workplace in New York by the Great Place to Work Institute, achieving a 93% employee satisfaction score. For the 6th year in a row, we were named as a Best CPA firm for Women by the Accounting MOVE Project, an annual benchmark of the status of women in the leadership pipeline. We were named as a best firm for equity leadership by the Accounting & Financial Women’s Alliance (AFWA). In 2019 the Bonadio Group was named second in the mid-size business category as a Top Workplace by the Rochester Democrat and Chronicle. This is the fifth recognition we’ve received! We have ten office locations—nine in the Northeast and one in the Southwest. Our geographical footprint is sure to meet your needs. Our team is always on the lookout for our next new member and we want you! We’re building a company where work is rewarding and fun, where colleagues are family, and where clients become friends. Find your fit here!